We envision a California of resilient, equitable, and vibrant communities where our local governments and leaders are empowered and equipped to proactively serve the needs of all community members. Fostering lasting, authentic community engagement. CivicSpark is a Governor’s Initiative AmeriCorps program dedicated to building capacity for local public agencies to address community resilience issues such as climate change, water resource management, housing, and mobility. 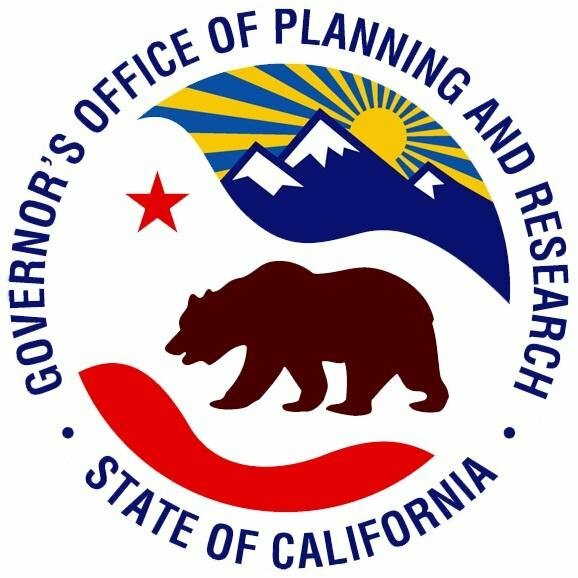 CivicSpark is a program of the Local Government Commission in partnership with the State of California through the Office of Planning and Research, and CaliforniaVolunteers. Each year, CivicSpark recruits 90 Fellows to build local public agency capacity throughout the state for 11 months. 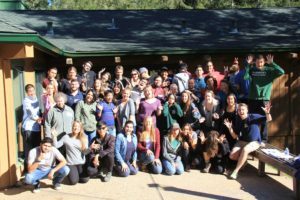 During their service year, CivicSpark Fellows implement a needed sustainability and resilience project, while also building long-term capacity to ensure the work is sustained after their service year is completed. Direct support for specific resiliency project needs with defined outcomes. Increased capacity for sustainable communities and response community resilience needs. A pipeline for future resiliency efforts. Stronger State-local partnerships for information and expertise exchange. A workforce with local expertise in climate change, energy, water, or social issues. Access to affordable resources, resulting in increased capacity and hands-on training. Increased volunteerism at the local level. 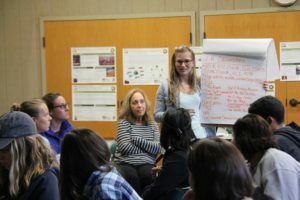 The CivicSpark Program offers a unique opportunity for recent college graduates to gain xperience in the sustainability and resilience sectors, gain professional and technical skills, and have a strong statewide network of professionals, all while having a lasting impact on communities. Fellows assist with various levels of project planning and implementation of critical projects across California on a wide range of topics, including water resources and policy, climate adaptation and mitigation, affordable housing, and mobility. All Fellows will spend at least 1,700 hours over the 11 months of the service year serving full time with their host agency. The regions usually served by CivicSpark include: Central Coast, Central Inland (includes San Joaquin Valley), Greater Los Angeles (includes San Diego), Inland Empire, North Coast, Sacramento and the Sierras, and San Francisco Bay Area. CivicSpark Fellows provide capacity-building support to local governments while simultaneously supporting volunteer engagement. This approach offers a unique opportunity to accelerate local community resilience efforts. CivicSpark project partners provide project oversight and professional development support, which includes identifying a site supervisor who will help the Fellow(s) set project-specific and professional goals. An LGC Regional Coordinator conducts monthly Fellow trainings and is a local liaison to the partner and the program at the state level. The well-being of California’s communities relies on their resiliency – the ability of their institutions, infrastructure, and environments to withstand stresses and shocks. A failure of resiliency affects the wellbeing of individuals and their environments for years to come. California is currently facing major stresses from emerging environmental and socioeconomic threats. Climate change is affecting all of California. For example, by late century $8-10 billion of coastal property may be lost to sea level rise, and the state may see an additional 7,700 heat-related deaths per year. Over 60% of California is facing long-term drought which could reduce agricultural production up to 16%. Californians face the nation’s second highest housing burden with transportation costs often exceeding 30% of household income. Further, 57% of rural households have insufficient broadband. While the state has recognized that communities are facing significant resiliency challenges in these areas and has set ambitious goals to tackle them [e.g. SB 32, SB 535, SB 1168, SB 350, SB 1, SB 2], achievement of these goals is highly dependent on local government planning and implementation. However, local governments are lagging in efforts to mitigate climate and water risks and are having limited success in preparing to adapt to anticipated changes. Outdated local plans and policies have left many residents with unaffordable housing, limited access to digital infrastructure, and high transportation burdens. Local government resources are often limited – maintaining the status quo can take up the majority of resources, leaving little capacity or resources to diagnose or respond to emerging opportunities and challenges. These threats are also unprecedented in scale and complexity, which means addressing them requires new knowledge, innovative policy approaches, and more dynamic and responsive solutions, which local governments have a hard time developing or acquiring. Solutions for such complex problems are often best addressed through integrated approaches (e.g. consideration of climate impacts of housing choices) that require strong internal coordination and deep community engagement that is challenging for under resourced local governments. For all these reasons, persistent capacity gaps among local governments remain a significant factor in the perpetuation—or even exacerbation—of these resilience challenges across California communities. CivicSpark AmeriCorps Fellows working with local governments to implement targeted research, planning, or implementation projects, while simultaneously supporting volunteer engagement, offer a unique way to accelerate local government climate, water, and opportunity access action efforts while contributing to our collective response to these pressing problems. This model of change leverages the strengths of the AmeriCorps service model to support resilience capacity building for local governments by providing beneficiaries with: (1) tangible resource or system development outcomes (e.g. reports, inventories, plans, etc. ), which provide stakeholders and staff with concrete actionable information and resources they need to increase efficiency, effectiveness, or scale/reach; (2) opportunities to engage stakeholders (including volunteers), so that activities completed have broader and longer-term support; and (3) direct experience working with new tools and resources to refine existing skills. In the longer-term, CivicSpark Fellow service will support local adoption of policies and programs that reduce environmental (e.g. climate change & water resource) risks or address critical socio-economic threats (e.g. affordable housing & mobility), thereby improving resilience for the community and State as a whole.